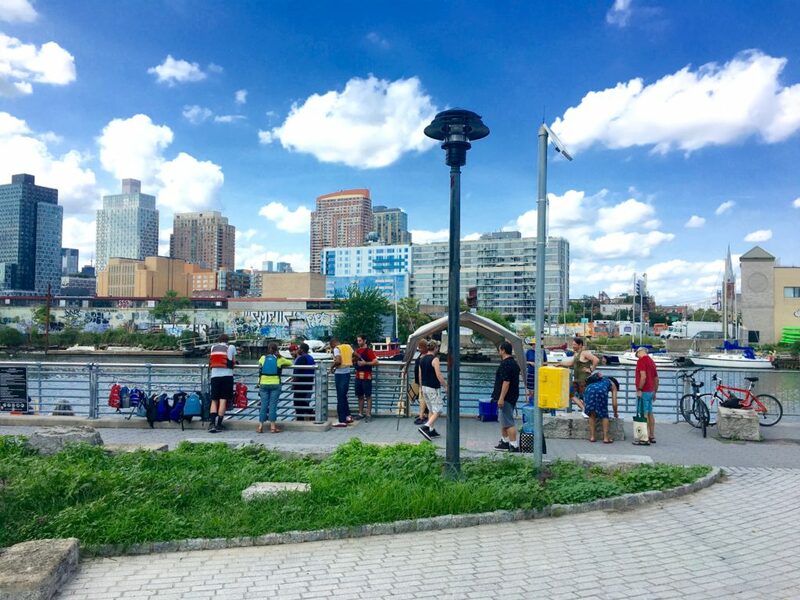 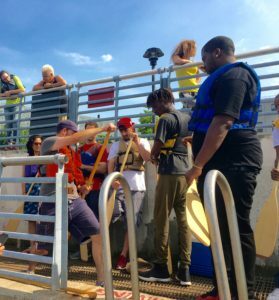 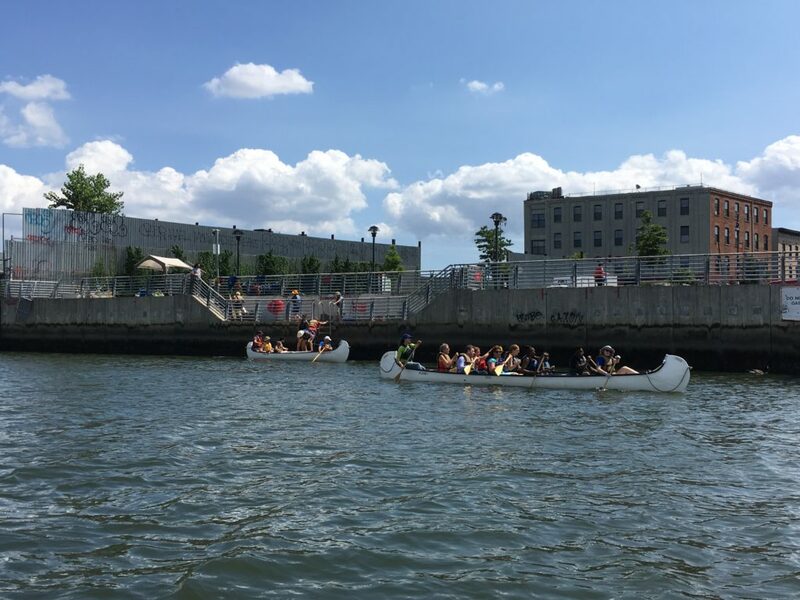 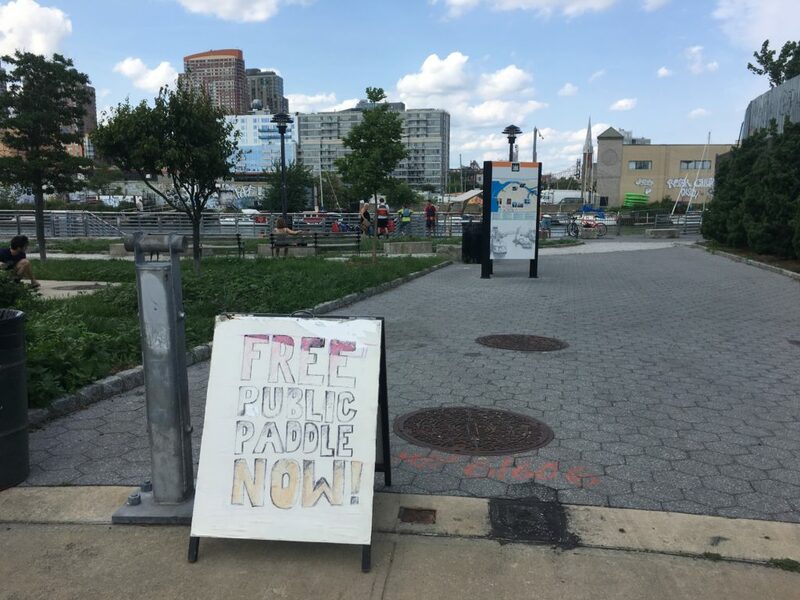 At these free, informal paddles, North Brooklyn Boat Club welcomes walk-up participants to Manhattan Avenue Street End Park to join trained NBBC guides for short trips on Newtown Creek and often out toward the East River, where we pause to take in the view of Manhattan. 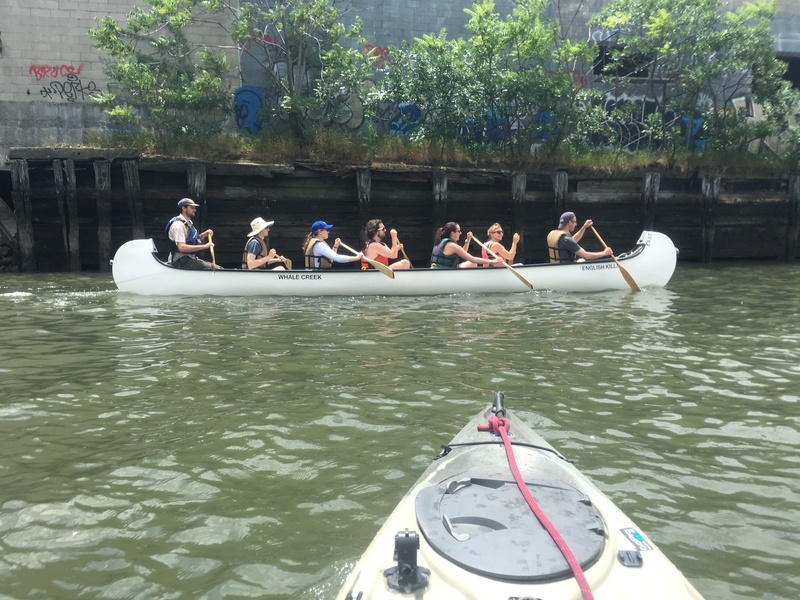 Using our new fleet of 29′ canoes, everyone on the paddle works together under expert instruction to forge a unique NYC experience, seeing the city in a new way. For this year’s schedule, please check our Calendar of Events and the Public Paddle page on our blog.